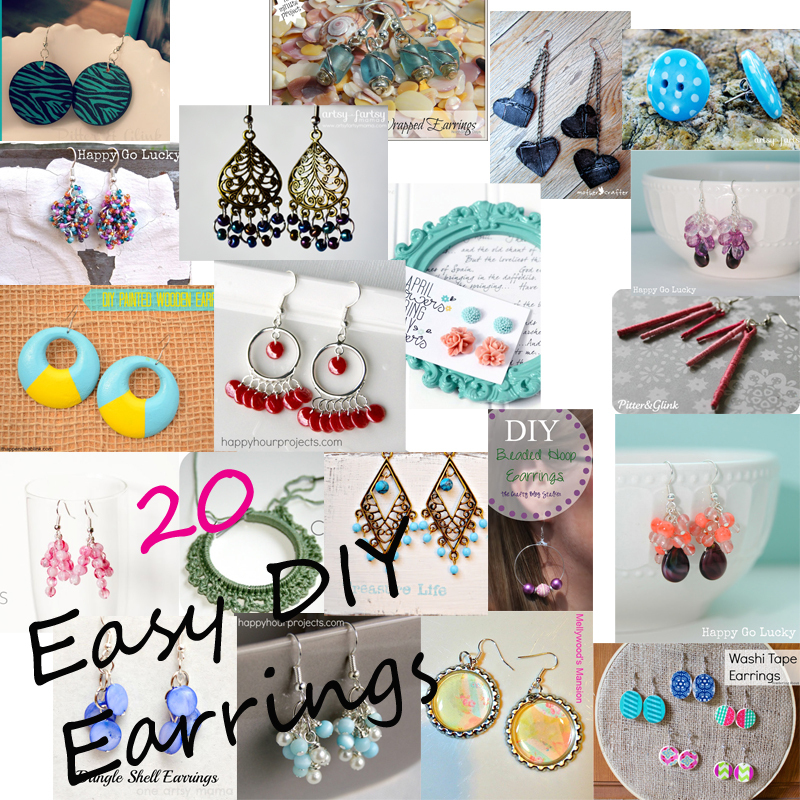 Check out the following tutorials for cute earrings that you can definitely make yourself. Be sure to click over to their blog for the instructions and for pinning! So much cuteness…so little time! Happy Jewelry-crafting! Wow, all these are awesome! 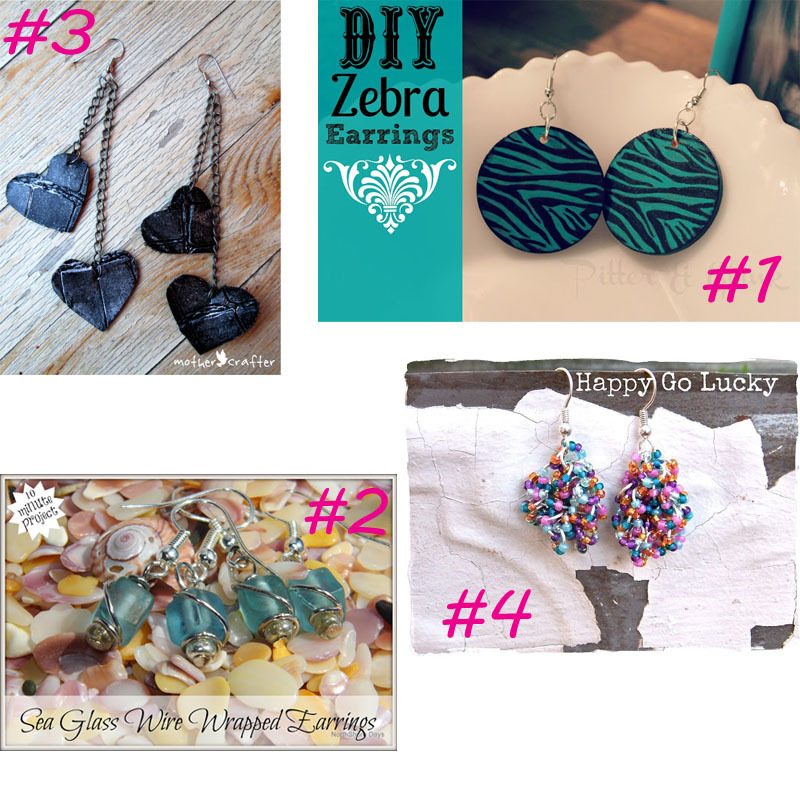 Thank you so much for featuring my Though Love earrings, Melanie! Thanks so much for including two of my projects in this fabulous roundup!! 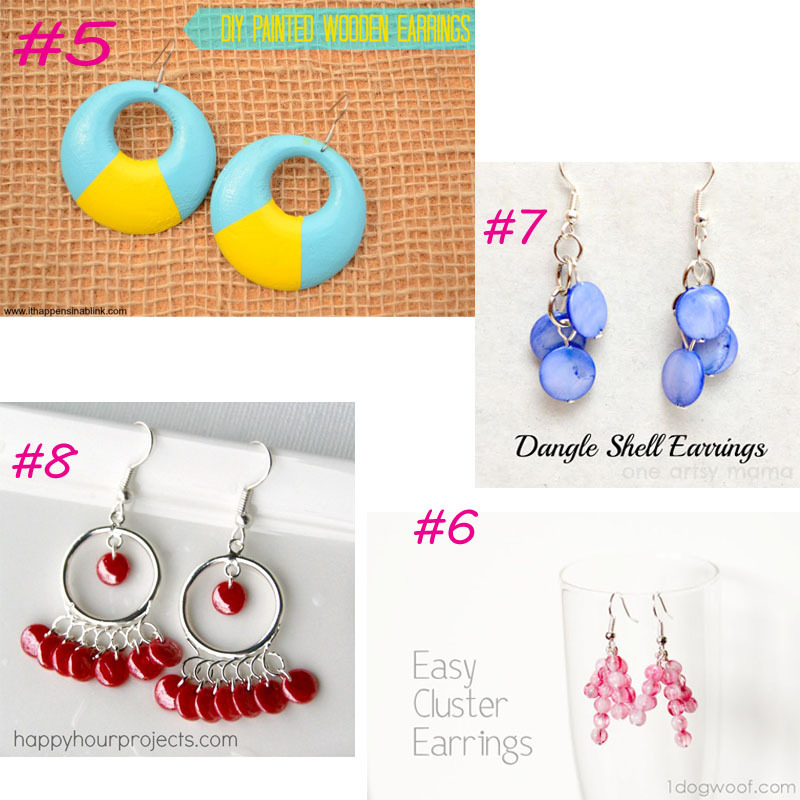 Thanks so much for featuring two of my earrings! 🙂 Have a great weekend! Love this list! Thank you for putting this all together! Just wanted to know that this is my first time stopping by and I’m following you on FB and g+, love the blog! Thanks for stopping by! Headed off to check out your blog. 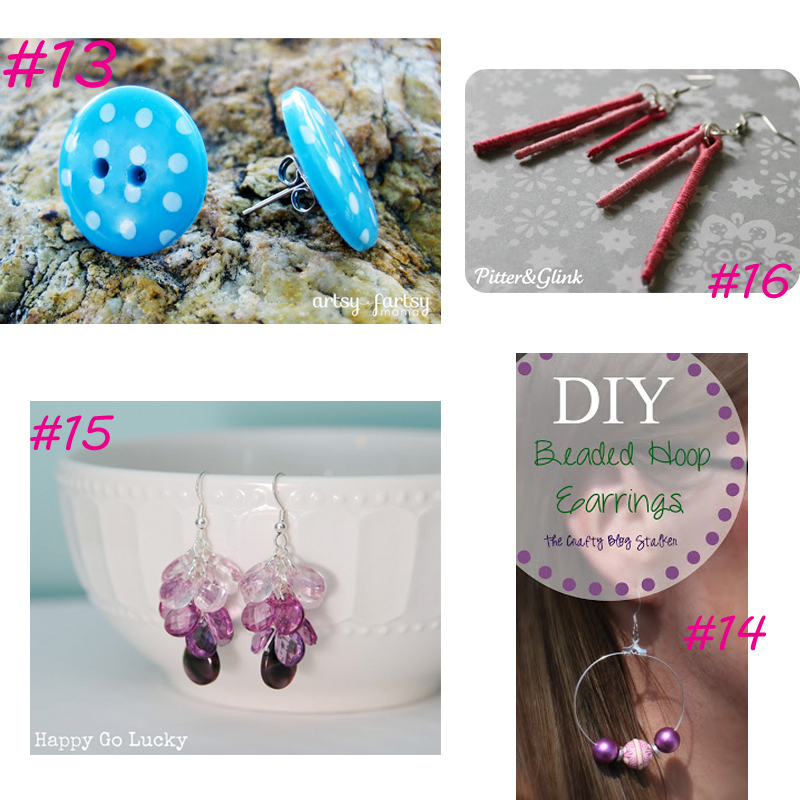 Thank you so much for including a few of my earrings in this fabulous round up! It ís difficult to find knowledgeable people on this subject, but you sound like you know what youíre talking about! 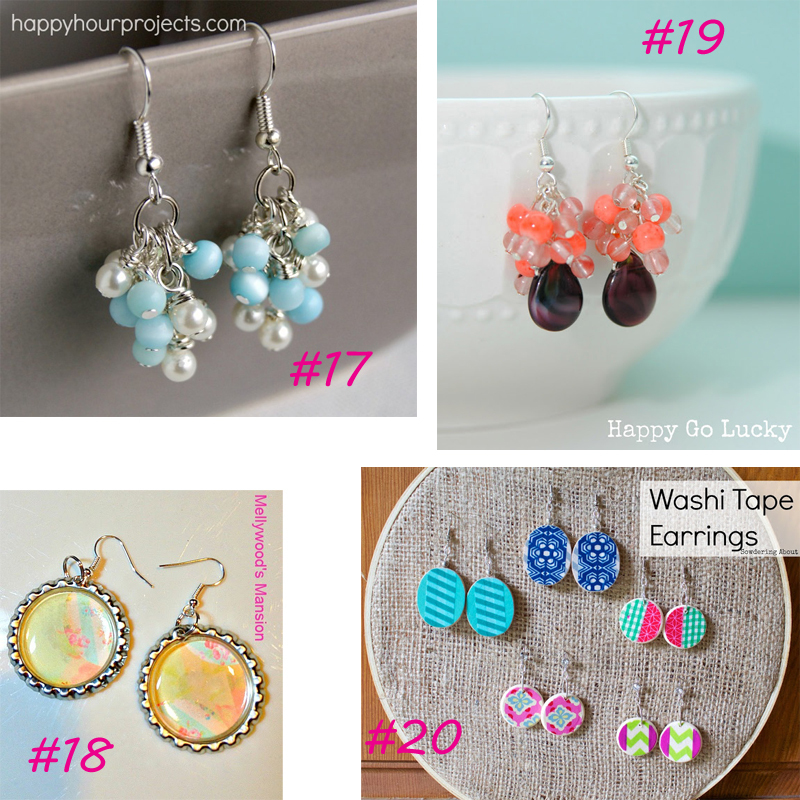 Earrings are one of my favorite things to DIY. Beads, charms, stones.. you can play with almost anything with them! 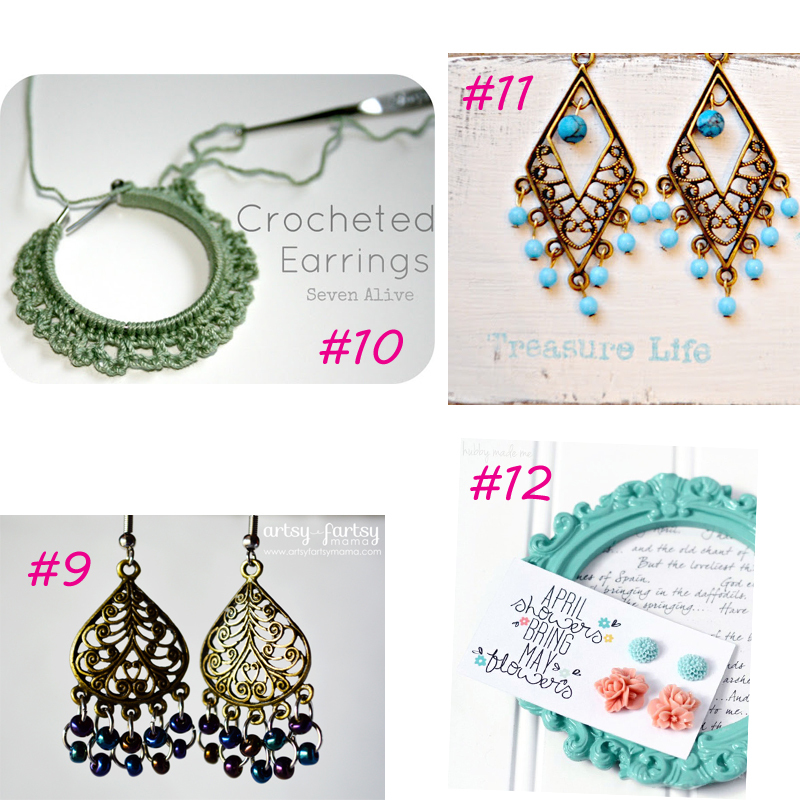 Crocheted earrings are something I’m yet to try!